Andrea Mazingo (left), Nilab Rahyar Tolton and four other plaintiffs have sued Jones Day for alleged sexual discrimination. NewsPRos photo. A $200 million lawsuit filed Wednesday against Jones Day alleges that female associates are discriminated against based on gender, pregnancy and maternity. The firm hires about the same number of male and female associates, but the women make less money and are outnumbered in the partnership, the proposed class action says. Women who get pregnant are often fired, and women who speak up often suffer retaliation, according to the suit, filed in federal court in Washington, D.C. The would-be class action was filed on behalf of female associates by Sanford Heisler Sharp, the same firm that has sued several other large law firms for gender bias, according to a press release and the American Lawyer. Jones Day is also facing another suit filed last year by Sanford Heisler on behalf of a fired partner. Named plaintiffs in the suit are Nilab Rahyar Tolton and Andrea Mazingo, who worked as associates in the firm’s office in Irvine, California, until last year. Four other female plaintiffs are listed as Jane Does 1 through 4. 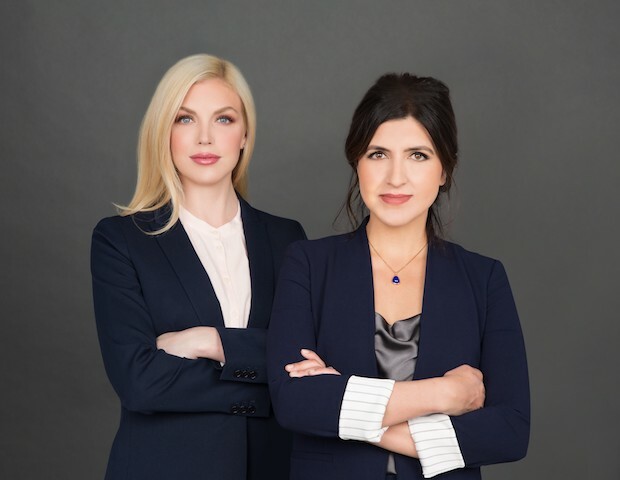 “Jones Day’s fraternity culture presents female attorneys at Jones Day with an unpalatable choice: participate in a culture that is at best inhospitable to women and at worst openly misogynistic or forgo any hope of success at the firm,” the suit says. Male attorneys are mentored, given preferential assignments and access to clients, and groomed for partnership, according to the suit. Yet prominent male partners attribute female lawyers’ failure to advance to women who choose family over career. Parties sponsored by the firm where drinking is encouraged are also a problem, the suit says. At holiday parties in one office, male leaders gawk at dancing female associates, the suit alleges. At a party at a partner’s house, a female summer associate wearing a white dress was pushed into the pool. Firm leaders and members of the summer associate committee responded to the male summer associate who pushed her with applause and high-fives, according to the allegations. Though the evaluation process is based on a consensus statement based on multiple evaluators, it can be manipulated to justify just about any course of action, the suit says. The suit alleges violations of Title VII of the Civil Rights Act, the Equal Pay Act and employment-related laws in Washington, D.C., and California. A Jones Day spokesperson did not immediately respond to the ABA Journal’s request for comment.